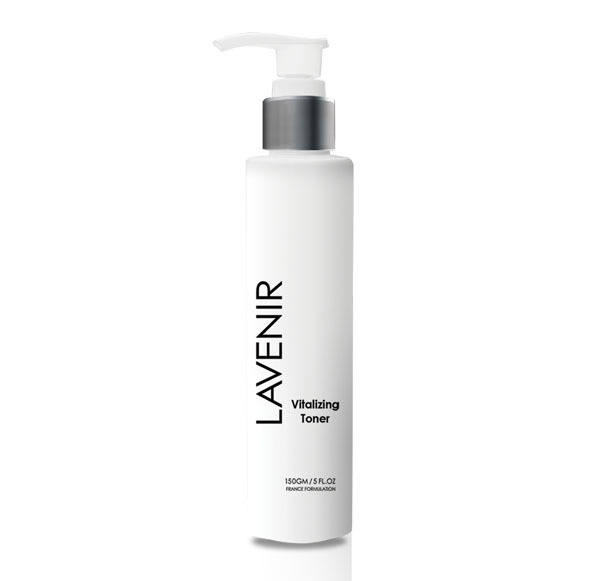 A gentle Vitalizing Toner that cleanses and removes remaining impurities and dull surface residues while hydrating skin. Promotes translucent and retexturizes softer skin. Use daily-morning and night after cleansing. Aqua, Glycerin, Sodium Hyaluronate, Propylene Glycol, Anthemis Nobilis Flower Extract, Aloe Barbadensis Leaf Juice, Glycyrrhiza Glabra (Licorice) Root Extract, Tocopheryl Acetate, Phenoxyethanol, Tetrasodium EDTA, Ethylhexylglycerin, Fragrance.